For a business to run like a well-oiled machine, it takes a team of skilled and experienced professionals who are committed to go above and beyond the call of duty. Al Saleh Group is spearheaded by team striving to take the group to greater heights. 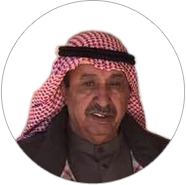 Tawfiq Hussein Al Saleh is the Chairman of AL SALEH GROUP with over 35 years of experience in the Facades & Aluminium Fabrication Industry. He is in charge of charting the overall direction of our Group's growth, ensuring that it is aligned with current and future trends in the Middle East. 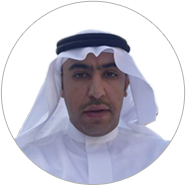 Khalid Tawfiq Al Saleh is the Managing Director of the AL SALEH GROUP. 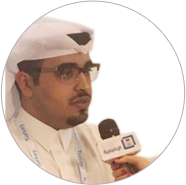 He is responsible for overseeing all operations of our Group in Saudi Arabia. A graduate of Sharjah University, he has more than 15 years of working experience in the Facade & Aluminium Industry. Hussein Tawfiq Al Saleh is the Director of Administration with over 10 years of experience in handling human resources, finance and administration systems, and internal quality auditing. A man who wears many hats, he also has hands-on experience in budget management, control and overhead cost, and capital expenditure. 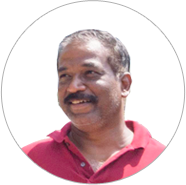 Krishnamoorthy Subramanyam is the Group's General Manager & Chief Executive Officer. He became an integral part of our Group in 2004. For over 12 years, he has been overseeing the marketing and logistics of international business transactions, brand development, and coordination activities of the Group. He is involved in the planning, organising and charting of the Group's direction specifically in the departments of manufacturing, sales and marketing of Rubber and Plastic Products in the MENA region as well as in diverse European & African markets.